Georges-Francis Servoz-Gavin, better known as "Johnny", has died in his native Grenoble at the age of 64. He was a celebrated French driver in the 1960s, as famous for his good looks as for his racing. Born in Grenoble in 1942, Servoz-Gavin was one of the early graduates of the famous Magny-Cours racing school and raced in the Coupe de Provinces representing Savoie. He moved to Formula 3 with a privately-owned Brabham and then caught the attention of Matra and became a works driver in 1966, winning the French Formula 3 title and in 1967 he made his F1 debut with Matra at Monaco. He was also very active in Formula 2 and sports car racing and indeed won the European F2 title for Matra in 1969. In 1968 stood in for an injured Jacky Stewart at Monaco and qualified second and was leading the race before he brushed a barrier and broke a driveshaft. Later that year he finished second in the Italian Grand Prix at Monza. 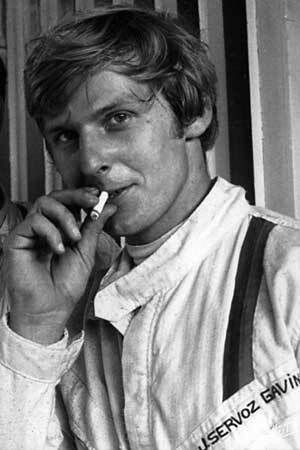 His big break was to be in 1970 when he was signed to drive alongside Stewart in the Tyrrell March team but that winter he took part in an off-road event in an open Jeep and was hit in the face by a branch of a tree which damaged his eyesight. After he failed to qualify at Monaco that year he took the sad decision to retire as he had lost confidence in his vision. In the mid 1970s Servoz-Gavin was rumoured to have been the driver in Claude Lelouch's film "C'etait un Rendezvous", a nine-minute movie recorded with a camera fixed to the bumper of a Ferrari 275 GTB as it speeds across Paris early in the morning. Lelouch was not able to secure a permit to make the film so did it illegally and never admitted who had been the driver. Servoz-Gavin dropped out of the fast world of F1 and lived for many years on a boat but in 1982 suffered serious burns when a gas bottle exploded on his boat. He survived despite having three heart failures as the doctors fought to save him.